Staff writer Caleb Calhoun had the chance to exchange a few emails with Gibson in advance of their show on Friday. Check out the conversation below, and pick up tix here. Question: You grew up in a conservative evangelical community in the Northeast. Coming from a similar community, one of the most difficult things for me to overcome was the ingrained belief that without Christ it was impossible to be truly happy. Can you tell me how much that affected you in your journey to find yourself, and how you finally broke free from that lie? Andrea Gibson: I grew up in the Baptist church and went to a Catholic college. Christianity is something that shaped my becoming in my earlier years and something that I turned away from when I came out as queer because I did not find that the particular brand of Christianity I was around honored who I was and who I hoped to be. That said, there are many different kinds of Christianity, and I’ve grown to learn and understand that one can be celebratory of all genders and sexualities and be a very religious person. I don’t identify as a Christian, but I find many of the teachings of Christ to be enlightening and transformative if interpreted correctly. Holiness, to me has more to do with wholeness than anything. And wholeness is the place where I personally uncover the most light. Caleb Calhoun question: Let’s talk about the state of truth in America in 2019. We often hear terms like “fake news” or “alternative facts,” but the queer community, and you yourself in many interviews, speak highly of telling “your own truth.” Would you take a few moments to explain what the concept of “your own truth” really means to you? 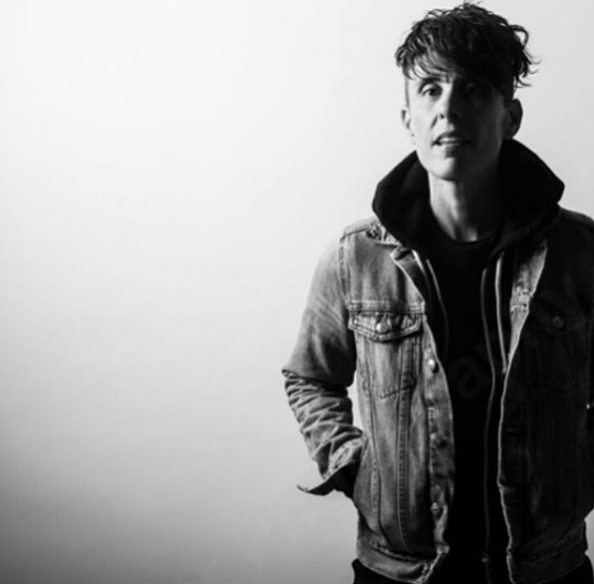 Andrea Gibson: For me, truth-telling is a physical experience. I feel into my body and search for what is true beneath my defenses and stories and learned narratives. Very often, I’m startled by my own truth, and how often it changes. What’s important to me is to have an unyielding commitment to listening for my own truth, and to notice any barrier I or the world erects in its way. Question: Often in the queer community we can be allergic to labels, and yet you have also pointed out that words do help us define ourselves. So how do we go about creating labels that free instead of enslave? Gibson: Continuously giving ourselves permission to celebrate our own and each other’s becoming. And to understand that a word that resonates with us today may not tomorrow. “Queer” is currently my favorite word because it is a word that allows anyone who identifies as such to define it for themselves. I’ve been thinking about this question a lot lately as I’ve been wishing it were more culturally acceptable to rename ourselves often. I love the idea of giving myself a new name each year for the rest of my life. Question: You tend to use accompaniment music often with your poems. I know part of it is because you have so many talented friends, but do you think that it makes your poetry more appealing to a larger audience? How does it change the delivery and tone to read the same poem with or without accompaniment? Gibson: There are many reasons I collaborate with musicians but one of the main reasons I’ve noticed as of late is because it slows me down. Without music, it’s difficult for me to not scream all of my poems from start to finish. With music, it allows me to give some space to the emotion, to breath, to settle in. I don’t know if it has helped or hurt how others have responded to my shows. Many people prefer spoken word without music. That’s the art form in it’s natural and wonderful state. But it helps with my own emotional presence and that’s imperative to me. CC – What music do you listen to while you write? AG – Lately, mostly instrumentals of my favorite love songs. That’s what I write almost everything to. Even my angriest political poems, because they are, after all, love poems as well. Caleb Calhoun is an author, poet and journalist. He is a founding member of the Asheville Slam Poetry Team and the Producer of the video interview series Get On The Bus. He likes wearing pretty dresses, seeing live music, and hiking with his rare woodlands mermaid, Dr. Gonzo. He can be reached at Caleb.Calhoun@Gmail.com and followed at gonzo420NC on instagram and facebook.com/humansandpoetry.